What's up guys so idk if anyone came up with this idea before, but I think we should have a power ranking system for amiibo trainers. I think this would help evolve the amiibo metagame and it would also motivate trainers to give it there all in amiibo tournaments. 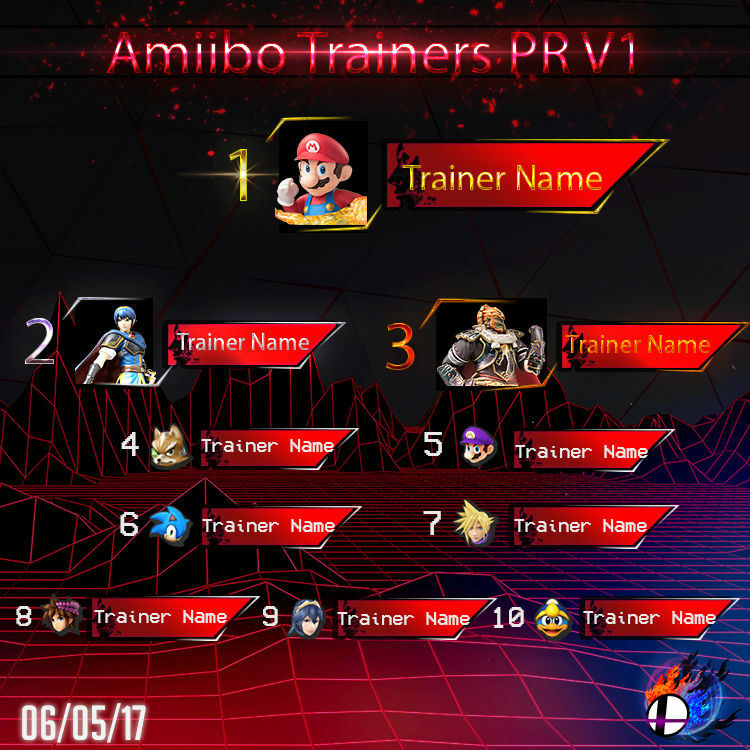 So in order to make a PR someone needs to gather information on tournament placings for each active amiibo trainer, and then rank the trainers. But if everyone is busy then I can just make it by myself lol. Also in the competitive ssb4 metagame there was a PR made by <a href=http://panda.gg/articles/news/gaming/81/panda-global-rankings-v2-10-1>Panda Global</a> and they mostly focused on tier 1 tournaments to rank the players so idk if you guys want to do that as well but I don't know what would be considered a tier 1 tournament for amiibo tournaments. So yeah what do you guys think? I like this idea. If you need help, I could go through all of the amiibrawl rankings. I also suppose that every trainer's icon is their main amiibo. Yeah that would be cool if you could find those stats donkle. These are very old stats and have not been maintained so they might not be of much help, but if nothing else the formatting is still intact if we want to continue the work that was done. @DONkLE wrote: These are very old stats and have not been maintained so they might not be of much help, but if nothing else the formatting is still intact if we want to continue the work that was done. I started making a list before you started, but I'm taking the Flash Fights into account too. Nice idea. I can't wait to see how this will turn out.